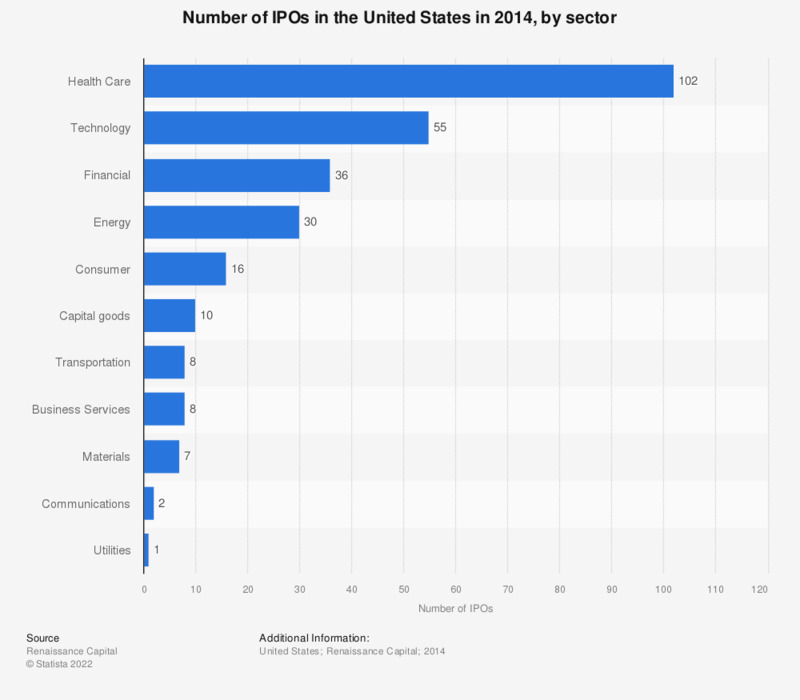 The statistic presents the number of initial public offerings in the United States in 2014, by sector. In that year, there were 102 IPO deals in the health care sector in the United States. Includes IPOs with a market cap of at least 50 million U.S. dollars and excludes closed-end funds and SPACs (Special Purpose Acquisition Companies).